Government of Andhra Pradesh has started a recruitment drive for general Recruitment in Prohibition & Excise Department for the post of Prohibition and Excise Constable -2012. 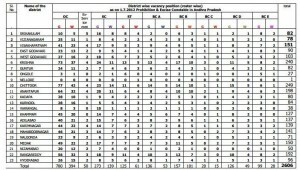 A total of 2606 vacancy is to be filled for the post of Prohibition and Excise Constable. Applicants should have a minimum age of 18 years and shall not be more than a maximum age of30 years as on 1.7.2012. 1) Eligible candidates may apply online from 10.30A.M. onwards, on 15-10-2012 till 5 P.M. on 05-11-2012 from one district only. 2) Apply online or get service from e-seva, aponline, mee-seva centers. Application fee must be paide her eonly. 3) On payment of application fee and submission of general data, candidates should take the print-out of the acknowledgement receipt containing a Journal Number. photograph and after watching preview , submit it. 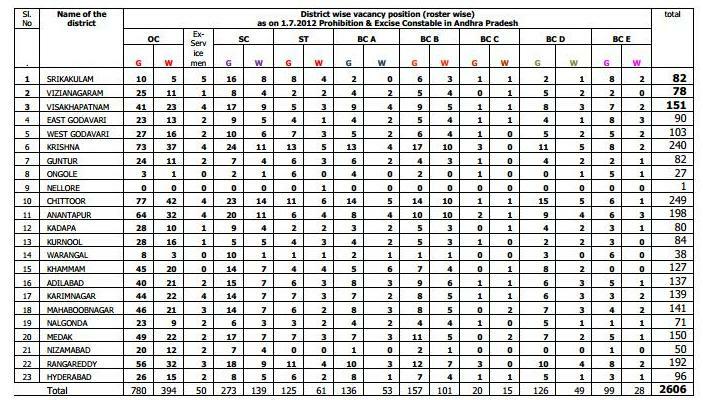 is this meant for Andhra Pradesh domicile only?